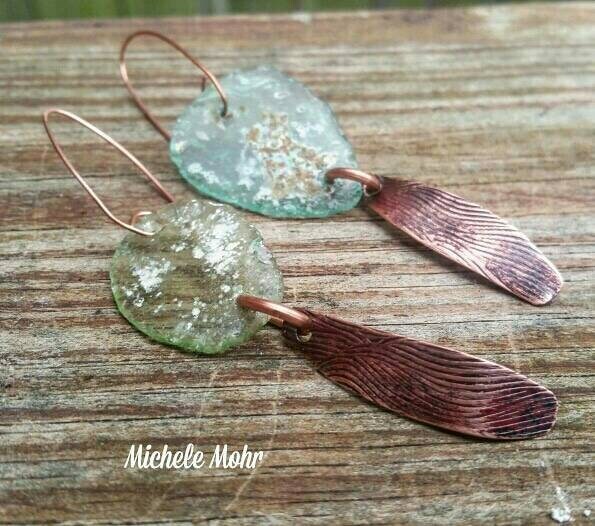 These one of a kind earrings are created from copper sheet. 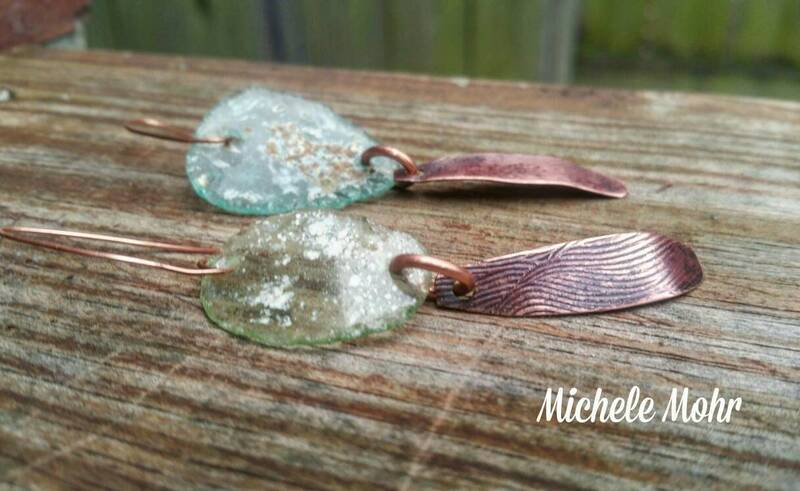 The texture is created with a rolling mill. 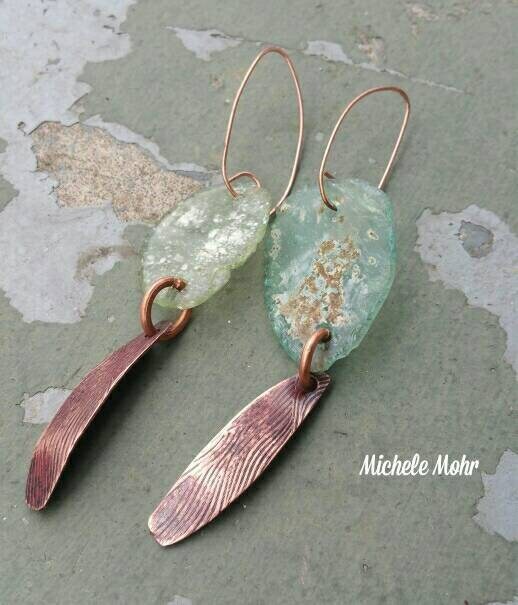 The pieces are hand cut, filed, sanded, oxidized and buffed. A light layer of beeswax is applied. 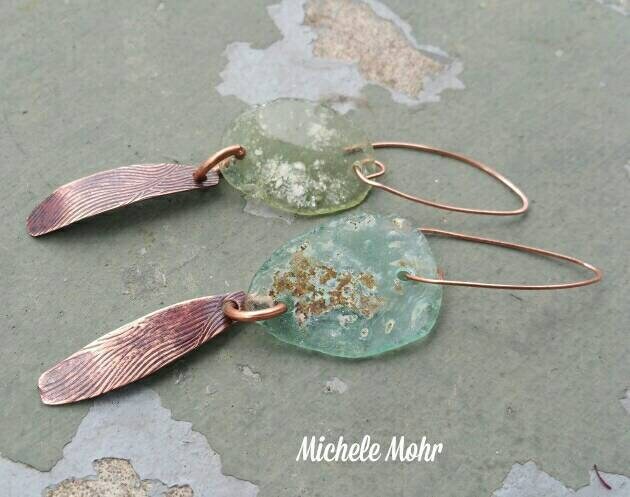 The copper pieces are attached to organic shaped sea glass in light green and sea blue with handcrafted copper jump rings and handcrafted 20 gauge copper earwires. These are organic and slightly asymmetrical in shape. 5" in length. 3.5" including earwires. 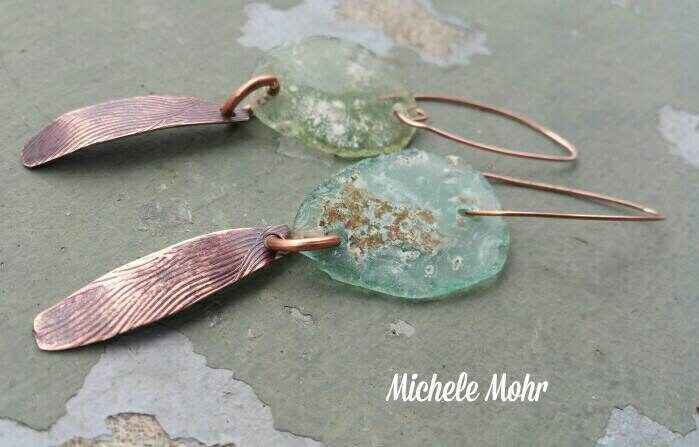 Copper will continue to oxidize with time. Buff with a soft cloth and avoid excessive moisture to retain color. Packaged in a cotton filled box.